Emma is an ITEC qualified holistic and sports massage therapist. She also holds additional qualifications in advanced and remedial massage, pregnancy massage, hot and cold stones therapy massage and Reiki healing. Emma is fully insured and a member of the two leading professional therapist associations: FHT and CThA. 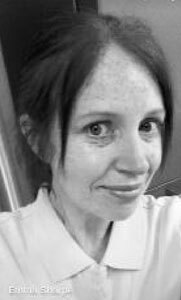 Emma will tailor each massage treatment to the exact requirements of each individual, taking into account all aspects of their current health and medical history. Utilising the most up-to-date massage techniques, she will unlock and enhance your body’s true potential. Whether it is a relaxing hot stones massage to enable you to deal with a hectic and stressful life or a localised treatment to work on a specific sports injury, she can offer the precise treatment for you. She also offers pre and post sporting event massage, which will improve the performance and recovery time of any keen sportsperson.